Special Day Entertainment offers amazing dance lighting for weddings, birthdays, parties, and any other special events in North Florida. 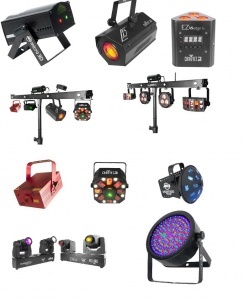 Lighting offered by Special Day Entertainment creates a fun atmosphere with specialty lighting provided by the best Chauvet and American DJ lighting products. Below are some videos for you to experience demonstrations of each of our offerings.